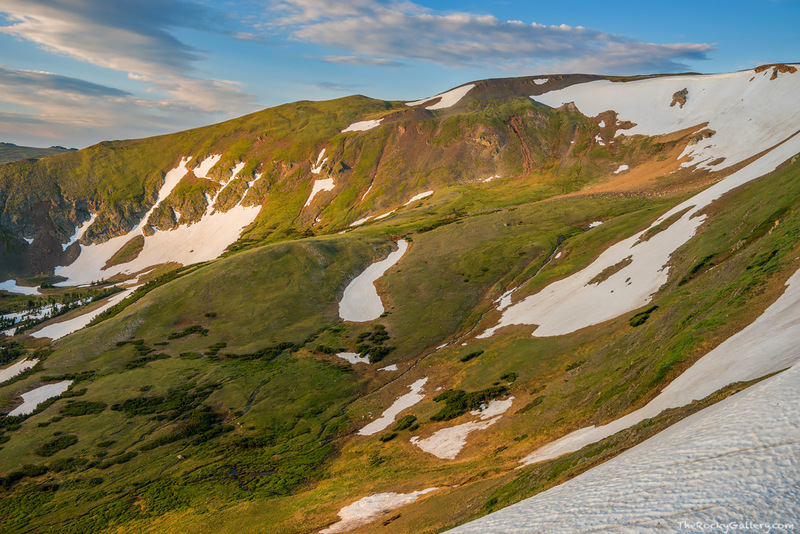 Spring on the alpine tundra is a wonderful time. The landscape which has been covered with snow for the last 7 months burst to life in quick succession as the days grow long and warm. In this famillar view from behind the Alpine Visitor Center, the alpine tundra is quickly shedding its snow and turning a vibrant green. Elk graze on the grasses, streams flow with vigor and wildflowers begin to blanket the slopes of Rocky Mountain National Park. Photo © copyright by Thomas Mangan.